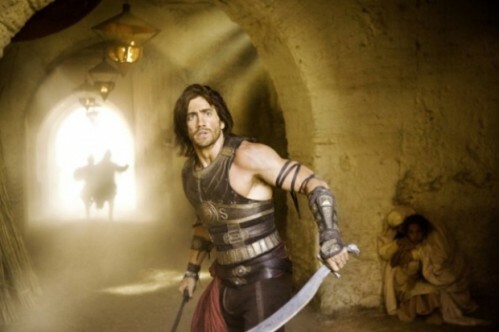 Disney’s film adaptation of Ubisoft’s hit video game Prince of Persia: Sands of Time arrives in theaters on May 28, 2010. The fantasy-actioner is directed by Mike Newell (Harry Potter and the Goblet of Fire) and scripted by Jordan Mechner, creator of the Prince of Persia game. Jerry Bruckheimer (Transformers) produces. I gotta say, up until now, the only Persian thing that got me excited was the Soltani dish at Darband’s in LA. But, this flick looks pretty fun. To see a trailer, click here. Also, a happy birthday to Mr. Gyllenhaal! He turns 29 today.